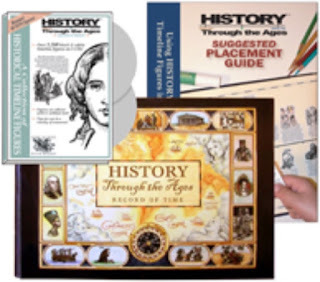 The following is a review of the brand new Timeline Trio from Home School In The Woods with the TOS Homeschool Review Crew. Home School In The Woods is a hands-on history company. We reviewed their Timeline Trio which includes the brand new HISTORY through the Ages Book of Time, Suggested Placement Guide, and Historical Timeline Figures CD set. 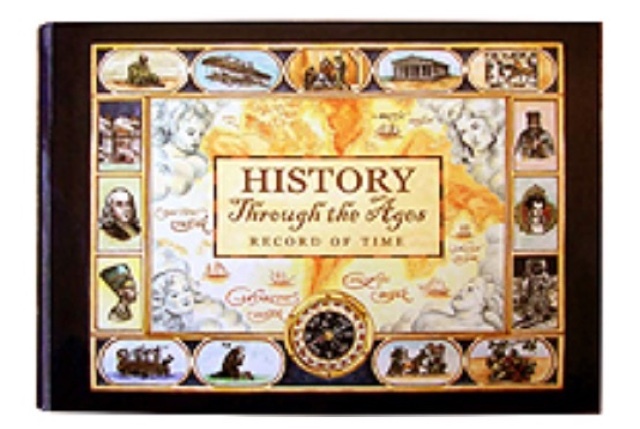 The Book of Time is a huge vertical spiral bound binder filled with pages to paste the timeline figures. Every single one of their 1,260 timeline figures are included in the CD, and there is a place for each one on the timeline. The company recently announced something new. Check it out! 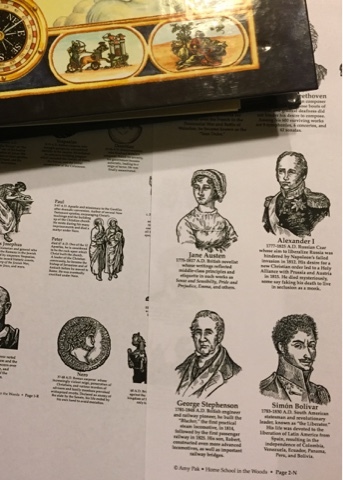 My daughter printed the timeline figure pages as she needed them. 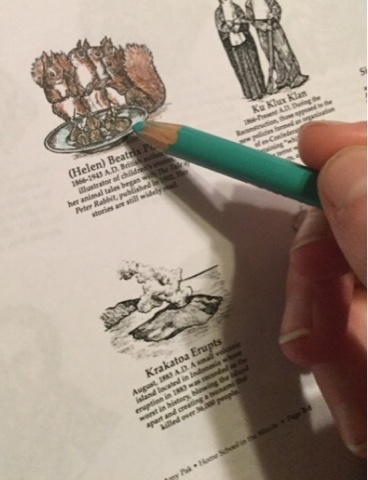 She found it easiest to color them first and then cut and paste them in the Book of Time. twice the size of the ones for placement in the timeline. 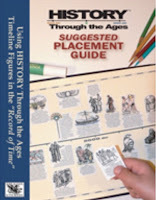 The History Through the Ages Record of Time Suggested Placement Guide is impressive even without the other resources. Just looking through it and seeing how the timeline figures are categorized gives a chronological view of history. Of course, the timeline pages, once filled, will do so much bigger and brighter. 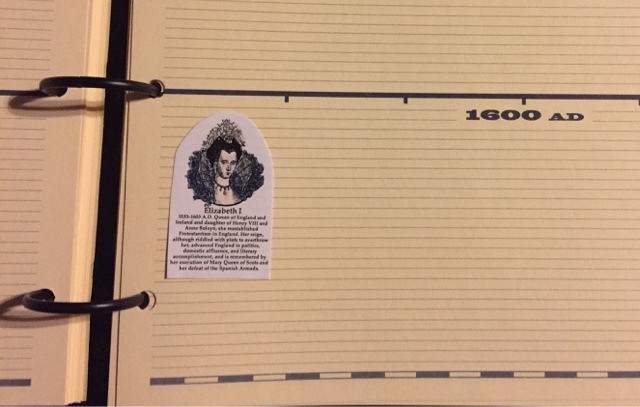 My daughter claimed this lovely timeline binder as her own and shared her input below. 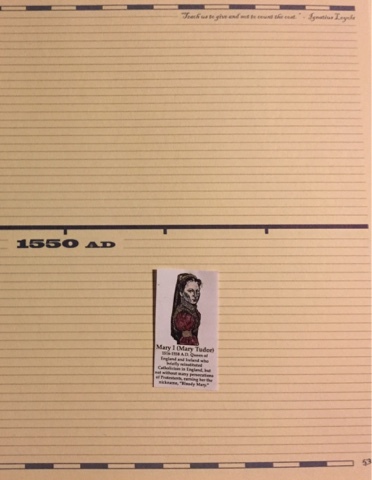 The Timeline book is filled with sturdy cardstock pages starting from 5000 BC to the present time. You can fill all of these beautiful pages up with the timeline figures. On many of the timeline pages in the book there are small quotes or Bible verses. In the very back there are different maps such as Ancient Greece and a map of the World. When researching about one of the timeline figures you could look at the maps and see where they would have lived. 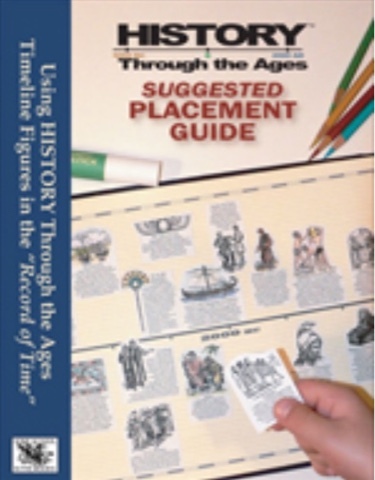 This set includes a 72 page Suggested Placement Guide book which shows where you could put each timeline figure. This is very helpful to me even though some of the figures have dates on them. I will refer back to this book a lot. It is made clear in the book that there is no right or wrong placement for each of the figures. You could even place them at the time of something important in their lives; it is up to you. 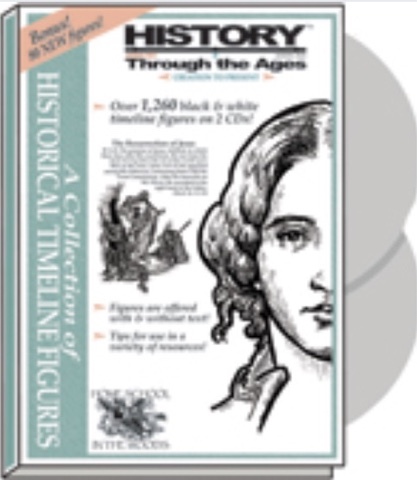 The Cd of the printable figures includes four categories and also new bonus timeline figures. There are two CDs. The first contains PDF pages of all the timeline figures in each set. The four sets are Creation to Christ, Resurrection to Revolution, Napoleon to Now, and America's History. 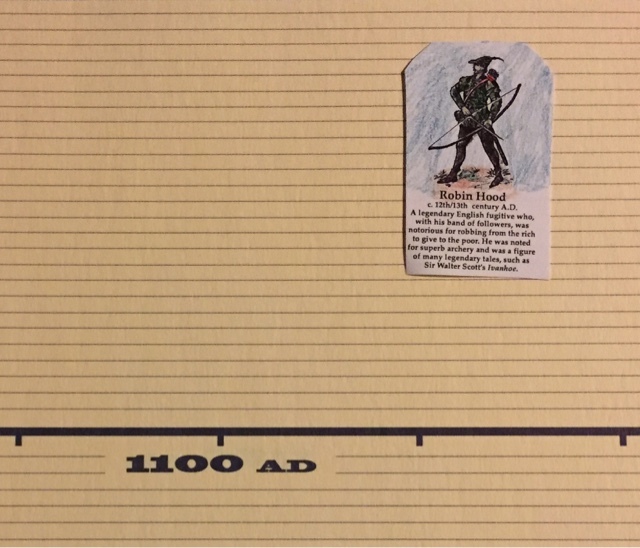 Each folder has an option to print notebook sized or wall sized figures depending on what type of timeline you are going to create. There is also an option for without text or with text for the timeline figures. I personally like the ones with the text because it gives you a little background history about each figure. The second contains a collection of GIFS of more than 1,260 figures for more advanced projects. 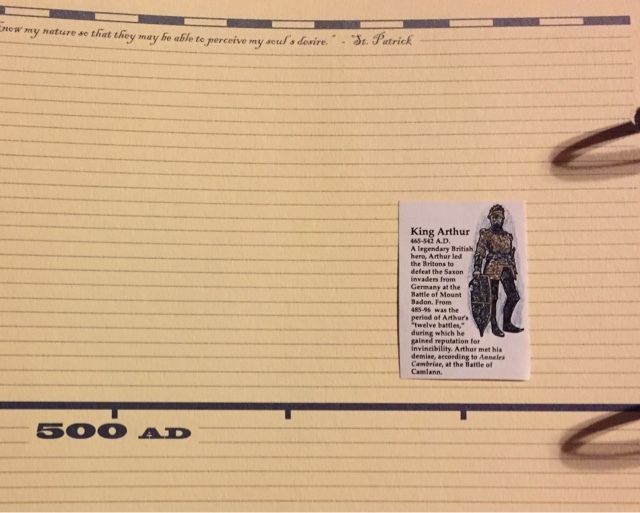 I really enjoy cutting out, coloring, and placing the figures in the timeline book. I think that it really adds to a history lesson and makes it a lot of fun. 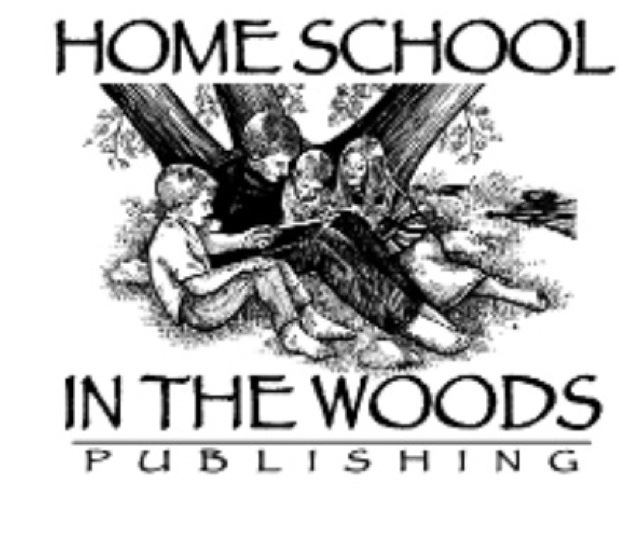 Others on the Crew reviewed many other products from Home School in the Woods including their Activity-Pacs and Make-A-State, their new resource for documenting State studies. Click below to read about all of them. Find them on Facebook, Twitter, Pinterest, YouTube, and Google+, and be sure to tell them hi from Jennifer at A Glimpse of Our Life.